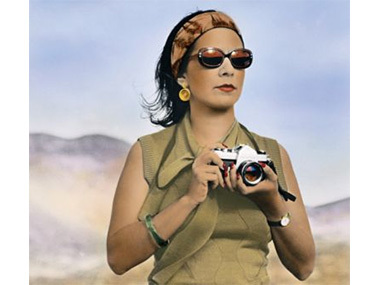 Self-portrait of Tracey Moffatt (AO) taken in 1999. For distinguished service to the visual and performing arts as a photographer and film maker, and as a mentor and supporter of, and role model for, Indigenous artists. Ms Moffat is an artist with bodies of work in photography and filmography. Her most notable works include several series of photographs titled: 'Something More' (1989). 'Pet Thang' (1991). 'Scarred for Life' (1994). 'Spirit Landscapes' (2013). Her most notable short films include: 'Nice Coloured Girls'. 'Night Cries'. 'BeDevil'. 'Artist'. Films have also featured at the Cannes Film Festival. The Art Gallery of New South Wales. The Queensland Art Gallery, where her most recent show was reviewed by the Aboriginal Art Directory here. Tracey has been selected as Australia's representative at the 2017 Venice Biennale. Founding Member, Boomalli Aboriginal Co-Operative, since 1987. Awards and recognition include: Recipient, Laureate Artist of the Year, Australia Council, 2013. Recipient, Infinity Award for Excellence in Art Photography, International Center for Photography, New York, 2007. Founder and Executive Director, Coo-ee Aboriginal Art Gallery, since 1981. Managing Director, Menzies Arts Brands, 2007-2010; Head, Aboriginal Arts Department, Lawson-Menzies, 2003-2007. President, Art Consulting Association of Australia, 2011-2015. Board Member, Aboriginal Benefits Foundation, since 2005. Approved Valuer, Cultural Gifts Program, Australian Government. Board Member, Aboriginal Tourism Australia, 2004-2005. National President, Australian Indigenous Art Trade Association, 1998-2000 and 2001-2002; Board Member, 1998-2004; Founder, since 1996. Foundation Member, Visual Art Export Panel, Austrade, 1990s. Founder, Best in Sydney project, Craft Council of Australia. 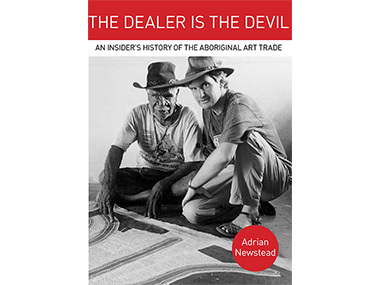 Author, 'The Dealer is the Devil', Brandl and Schlesinger, 2014 - which was fully reviewed by the Aboriginal Art Directory.